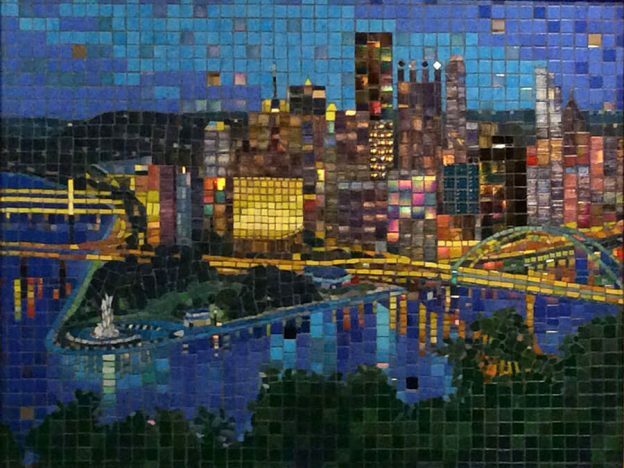 If we gave an award for best use of iridescent tile to create a sense of lighting in a scene, artist Terry Broderick’s mosaic “Pittsburgh Cityscape,” would have won it hands down. 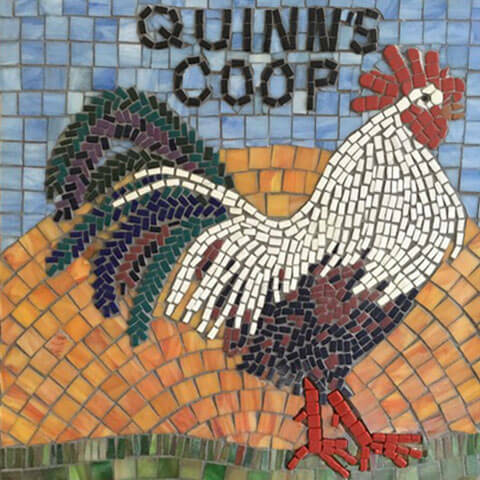 It is a must-see mosaic. 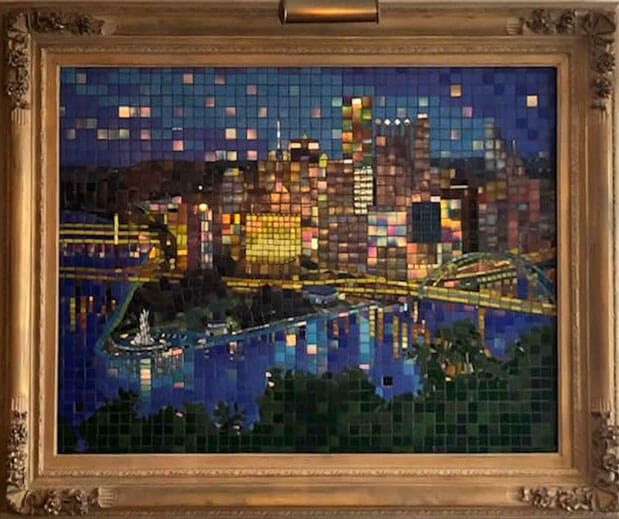 Even if you aren’t planning on using iridescent tile for lights in a night scene, Terry’s mosaic is worth taking a look because the sense of light and atmosphere he creates in it is nothing less than impressive. If you are trying to make things like stars in a night sky or streetlights reflecting across water, this mosaic is a tutorial on how to do it right. 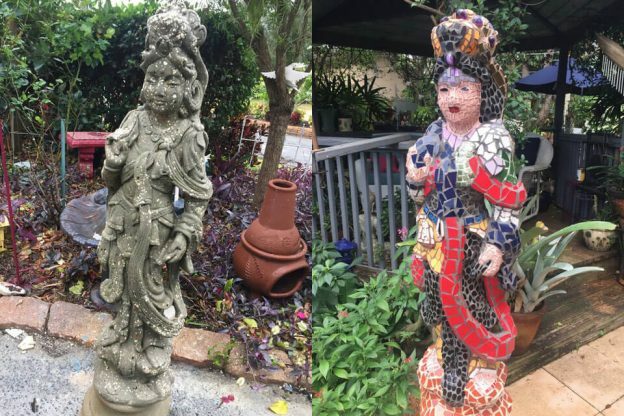 This entry was posted in Art Review, Inspiration on March 20, 2019 by Joe Moorman. 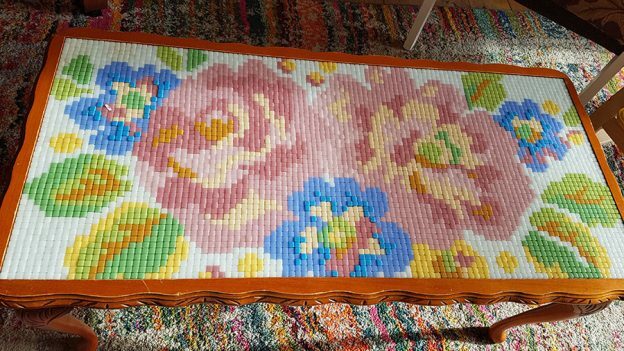 Vitreous glass tile has a lot fewer surface pits than it did a few decades ago, but it still has some, at least in most brands. Grout can sometimes lodge in these superficial pits if you don’t adequately sponge and haze the mosaic after grouting, and many novices find this problem particularly distressing. 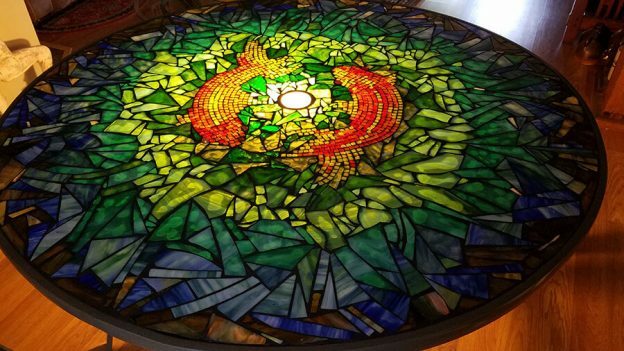 The good news is that the problem can be fixed easily, and it can be avoided for the most part by correctly sponging and hazing the mosaic during the grouting process. 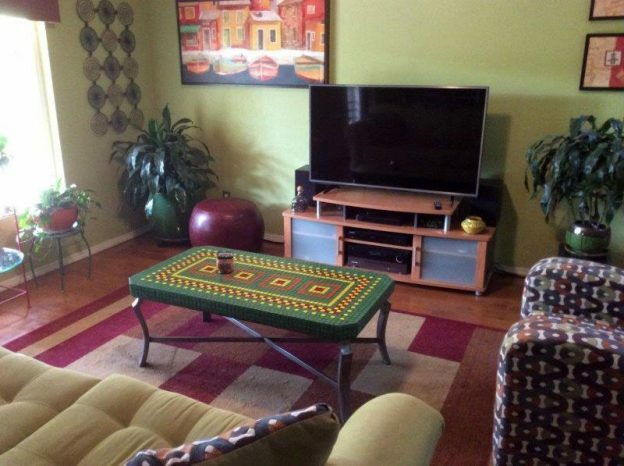 You do NOT need to find vitreous without pits to avoid the problem of pit staining. Keep in mind that the same vitreous tile is used as an architectural covering for thousands of square feet at a time, and so common sense tells you that there has to be a way to get grout out of pits without a large amount of labor. 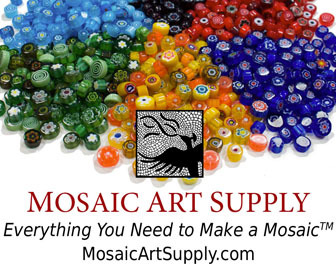 I feel the need to stress that point because I receive emails from beginning mosaic artists who are desperately searching for vitreous glass tile that is perfectly smooth without the occasional pit: You do NOT need to find perfectly smooth tile. This entry was posted in Uncategorized on March 4, 2019 by Joe Moorman. 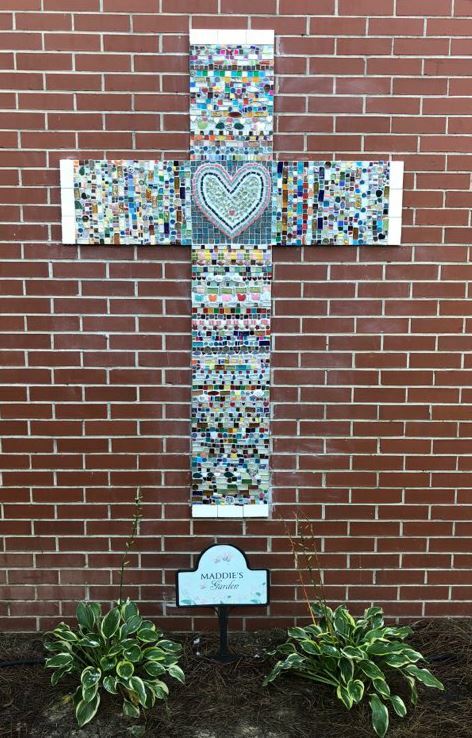 Highland Christian Academy in Valdosta, GA wanted to remember one of our 8th grade students, Maddie Pitts that recently passed away from cancer in a personal, honorable way. 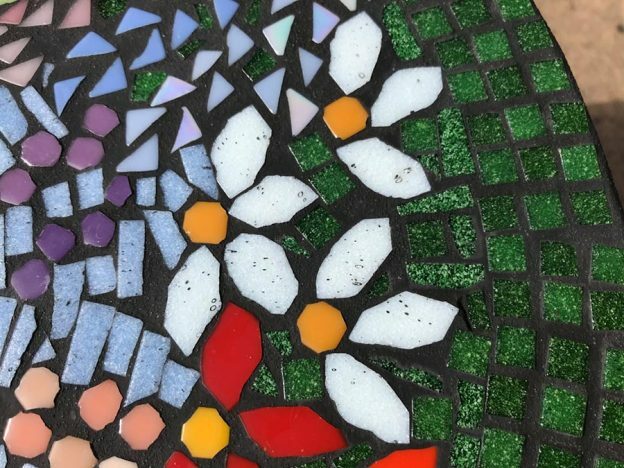 As we constructed a small garden area with a pink bench and beautiful flowers, the students will be making rows of mosaic tiles to place on the centerpiece cross as a personal tribute to her memory. Maddie’s siblings, will also place a personal row of tiles to add to the memorial. 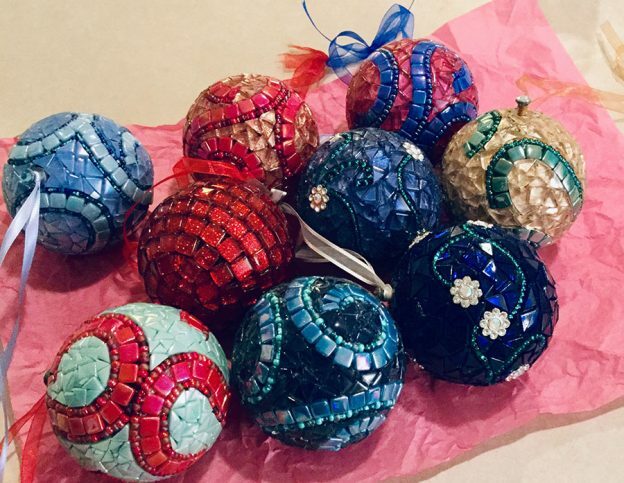 We are so grateful to my daughter Katie at Mosaic Art Supply in Atlanta for their gracious donations of beautiful tiles for the students to compose their personal contribution. We are grateful to Home Depot for the grout and building base for the cross. The cross stands 6′ by 4′, with its backer material mechanically fastened to the wall. Each line of tile is created by students. 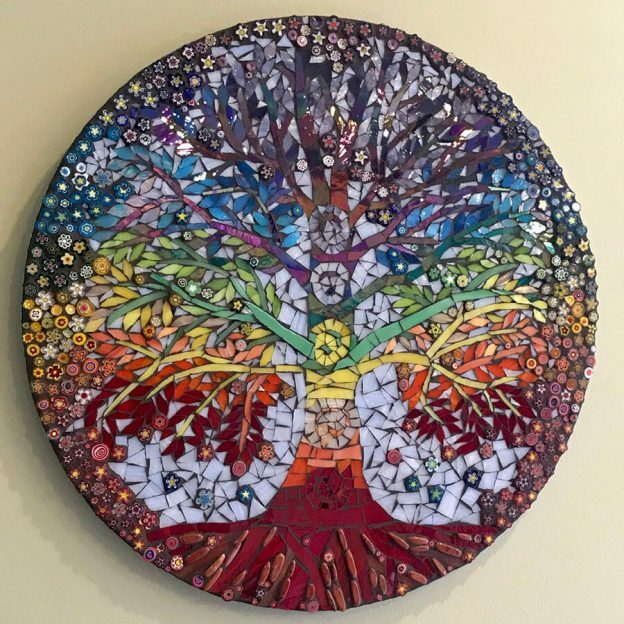 This entry was posted in Art Review, Inspiration and tagged contemporary mosaic, memorial on September 19, 2018 by Joe Moorman.